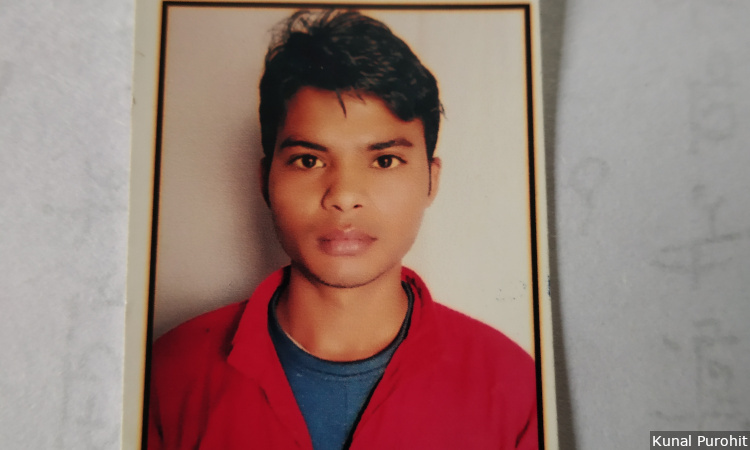 Twenty-two-year-old Shahrukh Khan was lynched to death by an angry mob for allegedly trying to steal buffaloes in Bholapur Hindoliya of Bareilly in western UP. Khan worked in Dubai as a zari (embroidery) worker and was slated to return to Dubai just three days later. Varanasi: With 92 attacks, 2018 recorded the most hate crime in India in a decade, according to Hate Crime Watch, a database of religious identity-based hate crimes across India from 2009 to 2018, maintained by FactChecker. Uttar Pradesh, as per the 2011 Census, accounts for 16.5% of the country’s population. However, almost a third of the hate crimes recorded in 2018, 26, were reported from one state, Uttar Pradesh (UP), India’s most populous. Since 2009, 61 of the 278 attacks recorded in Hate Crime Watch have been reported from UP. To understand and investigate why, FactChecker travelled across the state in early December 2018, covering 3,500 kilometres over 14 days. We listened to the main actors on the ground–the victims and alleged perpetrators, the purported eyewitnesses, local politicians, local police, and members of various religious communities. This was essential to understand not just what had happened, and why, but also what has happened since–have the cracks dissolved or do enmities continue to divide individuals and communities? There was one more crucial purpose: To check on the status of the cases filed–whether investigations were on track to bring justice to the victims. We selected 14 cases reported from different regions of the state over the last three years, which were reportedly driven by various religious bias-related motivations such as opposition to cow slaughter and interfaith marriage. There were some cases whose motivations were unclear. This is the first in our six-part series. In this story, we outline our key findings and some common threads that run through most of the cases. We will explore these in more detail in the stories that follow. Our investigation from the site of many of these crimes found that hate crimes are not motivated by religious hatred alone. In many cases, we found a common thread of overlapping caste, religion and gender tensions. In Sonda Habibpur village of Bulandshahr in western UP, a Dalit man, Shrikrishna, was assaulted by Muslim and upper-caste men of his village and was forced to lick his own spit. This was a form of “punishment” by an enraged village panchayat for his son having eloped with a Muslim girl of the village. In Bholapur Hindoliya of Bareilly in western UP, a 22-year-old Muslim boy, Shahrukh Khan, was lynched to death in August 2018 after he was allegedly caught stealing buffaloes in a Jat-dominated village. Jats are a land-owning, traditionally cultivator caste, and the village had seen multiple such cattle thefts and resultant economic losses. The spot where Shahrukh Khan, 22, was attacked in Bholapur Hindoliya village in Barreily in western UP. Villagers alleged that Khan, along with three friends, tried to steal buffaloes. His friends managed to flee across the river but Khan did not know how to swim. The villagers found him here, struggling to breathe, and lynched him to death, eyewitnesses and police told FactChecker. The villagers were desperate and angry. But the mob, before they lynched the alleged thief, asked his name. “Shahrukh”, he replied, a recognisably Muslim name. Moments later, he was being beaten, with bare hands and lathis (rods). From our reporting, one case turned out not to be about a hate crime, as per the definition we use for the Hate Crime Watch database and methodology. In eastern UP’s Fatehpur district, some of the media reporting on an incident that had left a Hindu man dead had categorised it as a clash between members of the Hindu and Muslim communities over a piece of land. Our investigation from the ground found that the reality was more complicated–a forceful, illegal land-grab had met with resistance from local villagers; the faith of the actors was incidental. This case has now been dropped from our database. Several other patterns were repeated in many of the crimes, primarily the role of the police. A clear religion-based pattern emerged as we found many instances where cases against members of the Bharatiya Janata Party (BJP)–currently in power in UP as well as at the Centre–or activists from Hindu right-wing organisations were watered down or prematurely closed. Cases involving Muslims were followed up with mass arrests, with many of the accused alleging they had been falsely implicated. In two of these major incidents, the police invoked the stringent National Security Act (NSA) against Muslim accused. In Purbaliyan village of western UP’s Muzaffarnagar district, there was a clash between Hindus and Muslims, but no lethal weapons were used and no major injuries caused. Yet, four Muslim men were arrested and later charged under the NSA. They have been detained since August 2018. Many Muslim men and women that FactChecker spoke to said they had come to expect such treatment from UP’s law enforcement system. 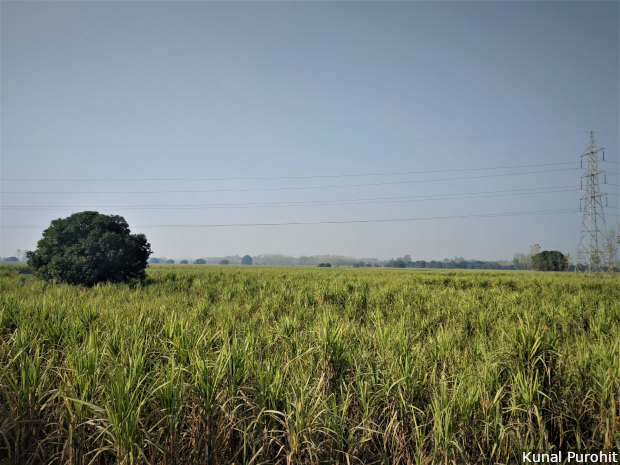 Muzaffarnagar lies in the sugarcane belt of western Uttar Pradesh and is often called the country’s sugar bowl. The district witnessed riots in 2013, which created deep divisions between the Jat and Muslim populations. Five years on, some cracks have healed but in Purbaliyan, where a communal clash took place in August 2018, the divisions remain. Often, the police version of events was very different from the version we could piece together from talking to a range of people at and around ground zero. The police version often left out the role of the majority community. If the accused were from Hindu right-wing organisations or from the ruling BJP, the investigations were often shut down or left incomplete, as happened in Moradabad. In these cases, the victims said they were told to water down their allegations in the First Information Report (FIR). In Moradabad, Haji Aslam, a meat trader whose van was burnt down, allegedly by Hindu right-wing activists, said the local police asked him to say the van had been set afire because some locals had been angered by the pungent smell of rotting meat that it carried. Aslam said he had bought the van only two years earlier and was still paying off the loan, and needed to claim insurance. “I gave in. They realised my weakness and told me that they wouldn’t help me if I insisted on the names,” he told FactChecker. One police official had been present at the spot when the van was burnt, Aslam said. “I even named the suspects and pointed them out to the police,” he said, but no one was arrested or charged. FactChecker made numerous attempts at getting comments from the UP Police and sent out questionnaires to various officials, but none of them responded. We also tried contacting local district police officials in all the hate crime spots. Those who responded have been quoted in later pieces. Most of the hate crimes played out in a strikingly similar manner. Typically, a small incident would occur. Soon after, groups of men from outside the village, many belonging to right-wing organisations, would descend on the village and stoke tensions. Slowly, the sloganeering had turned into anger against the Muslim community, until an agitated mob had started pelting stones to eventually vandalise a mosque. 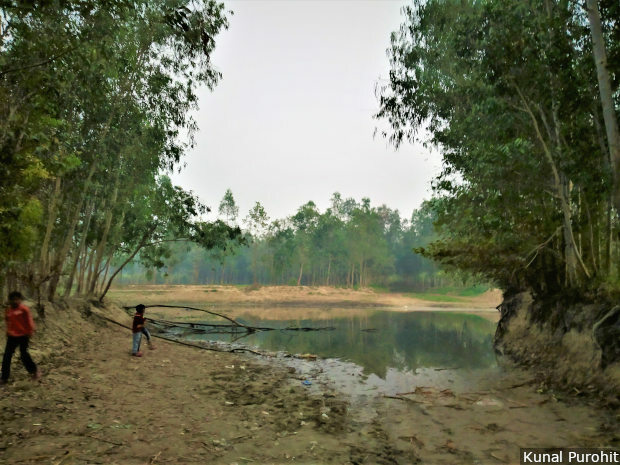 “Those people came and incited us against our own neighbours and vanished before the police could come back,” Dinesh Rajput, an Adhauli resident who made the first call to the police, told FactChecker. For days after an incident, community elders send young Muslim men away from the village in anticipation of police action. “The town looked like a town for the old; all the younger men had been smuggled out,” 70-year-old Abdul (name changed for safety), a businessman who had sent his son out of Kasganj in an ambulance following a communal clash on Republic Day in 2018, told FactChecker. He said he had heard that the police were indiscriminately arresting Muslim men. Villages that had not seen any communal tension in recent history are now divided along communal lines. Many, especially among the victims, question whether it is safe to carry on living in the village. Some have left, in search of a new home where they can feel secure. Many villagers came to see Vakeel Ahmad and his family leave Soi village of Bulandshahr district, where the family had lived for generations. A year earlier, his father Ghulam Mohammed had been lynched and killed just outside the village. “The village Pradhan [head] also came; no one said anything, no one asked us to stay back,” Ahmad said. This is the first of a six-part series. You can read the second part here, the third here, the fourth here, the fifth here and the sixth here.